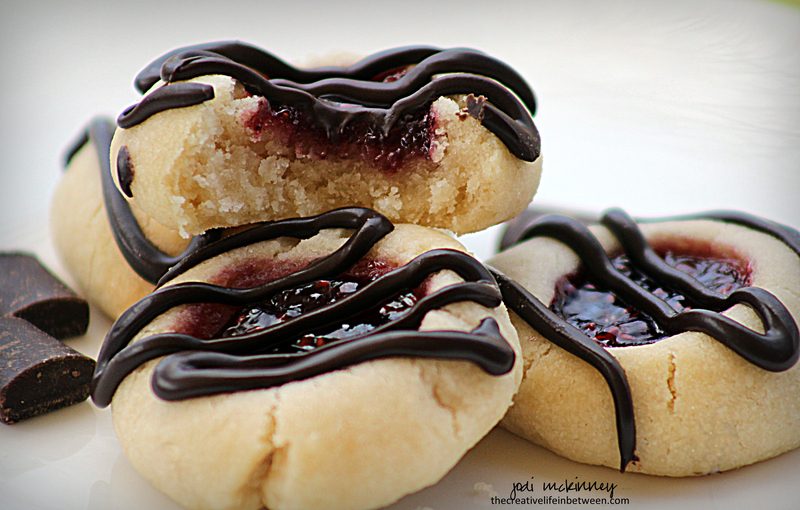 Raspberry Dark Chocolate Shortbread Cookies. 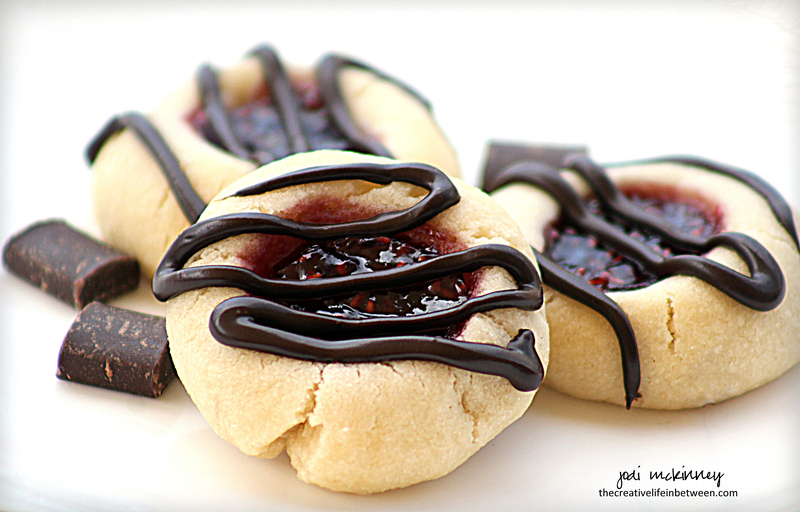 Is anything more divine than tart, sweet raspberry and velvety, dark chocolate? Then combine it with a flaky, buttery shortbread cookie?! Heaven in a bite – right?! These little gems are the most recent cookie baking project for the wedding cookie table. I think you might want to make some of these too! Cream butter, sugar, and vanilla until creamy with electric mixer. Gradually add flour and combine until dough forms. Roll dough into 3/4″ balls. Place on baking stone about an inch apart. Press small indentation in center of dough with your finger. Place a 1/4 tsp. raspberry jam in indentation. Bake for approximately 12 minutes until lightly browned on edges. Let cool 5-10 minutes on baking stone, the remove to cooling rack to cool completely. Once cooled, melt chocolate and spoon into plastic bag. Snip corner and drizzle on top of cookies. I feel like eating one of these off the screen, Jodi… they look delicious! Oh. My. Goodness! Heaven in a bite is right! I want to make this but I also want to lose 4 pounds in the next month…decisions, decisions! Another fabulous cookie Jodi!! Your wedding guests are in for so many treats! 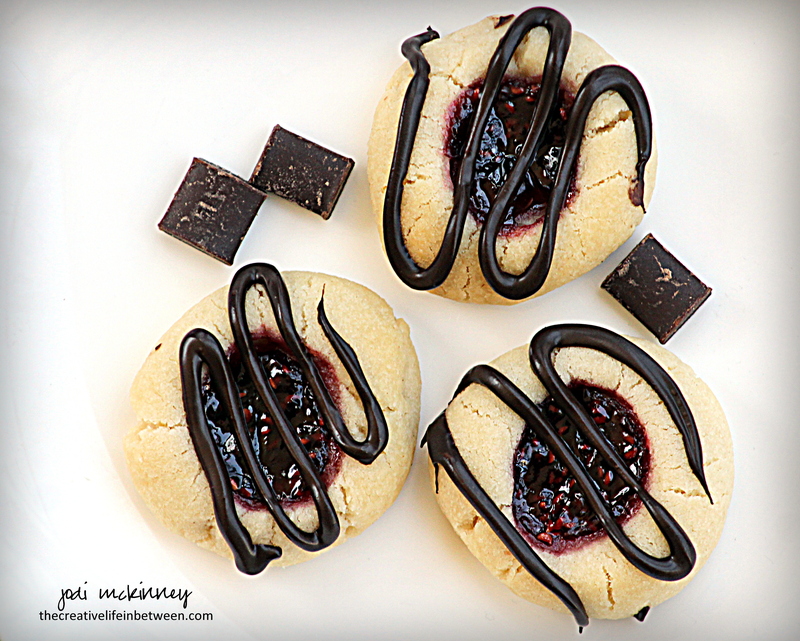 You need to write a cookie cookbook! Cookies look perfect, saving the recipe!